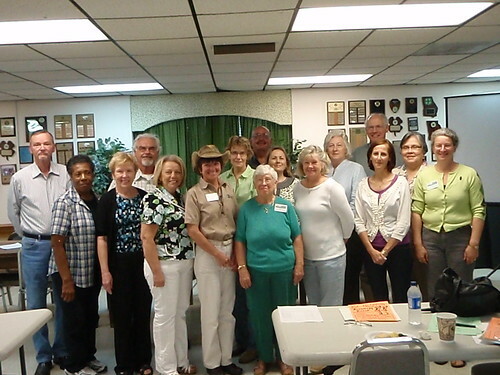 Grand Bay Master Gardeners (GBMG) has been holding a class to become master gardeners, and they just graduated yesterday! I'm not going to attempt to name all of them, because the ones I missed would be miffed. I will say that's Gretchen Quarterman on the right. And that these are people from all over the area, city and country, Democrat and Republican. Growing food is the universal community builder. GBMG is "organized as a cohesive working group in Lowndes, Brooks, Echols, and Lanier Counties". They'll be holding more classes, so you, too, can become a master gardener.